Possibly the most enduring John Carpenter flick makes the transition to 4K Ultra HD. But how does this new release of Escape from New York fare on the format? Is it chock full o’ nuts, or death by a thousand cuts? The story: By the end of the 1980s, crime was out of control. New York’s Manhattan Island was repurposed as a maximum security prison, and once you went in, there was no coming out. 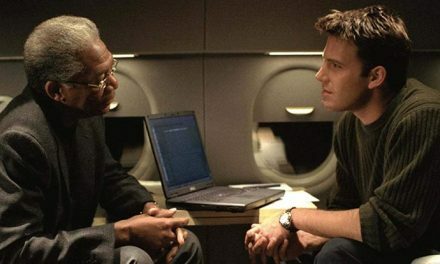 So, what to do when the US President’s plane happens to go down in Manhattan? 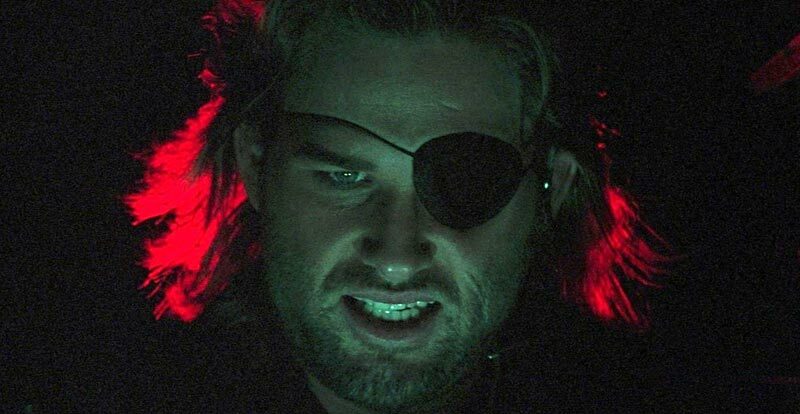 You turn to seasoned warrior – and newly crowned prisoner – Snake Plissken (Kurt Russell) to get the leader of the free world out of the clutches of self-declared leader the Duke and off the island. With all manner of lowlifes out for what they can get, this is easier said than done. John Carpenter’s knack for hitting the B-movie switch while making the results wholly memorable is arguably best evidenced by 1981’s Escape from New York. The dark sci-fi action – possibly only rivalled by the somewhat deeper Blade Runner – comes thick and fast, as do the one-liners and a wonderfully motley crew of great character actors. These include Lee Van Cleef, Harry Dean Stanton, Ernest Borgnine, Isaac Hayes, Adrienne Barbeau and Carpenter staple, Donald Pleasence. 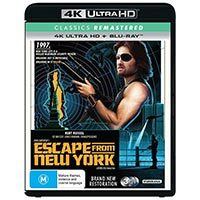 The 4K disc: After many releases, Escape from New York has finally received the treatment that it deserves, with a brand new native 4K transfer that does what no home versions have done before it – brought it into the light. Not that the parts that are supposed to be dark – and there are many of them – aren’t dark, but now we can actually see what’s going on. 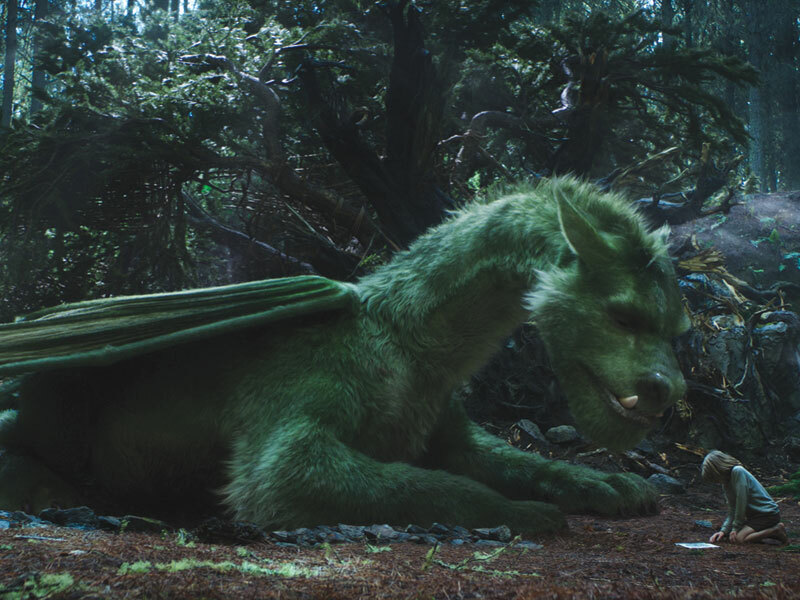 This is aided ably by the Dolby Vision (also HDR if that’s your thing) treatment, which gives extra punch to the lights and dark – and just wait until you see the vivid (but not unrealistic) colour in the odd scenes that play with daylight. Meanwhile, grain is ever-present, but usually – some brief bits of footage notwithstanding – is only noticeable when you concentrate on looking for it. English audio, meanwhile, comes to us in two flavours. The release defaults to Linear PCM 2.0, so we’d suggest that most will want to do a menu dive and flip it to DTS-HD Master Audio 5.1. This mix brings the movie to life, in particular Carpenter’s soundtrack that’s loaded with squidgy synths. Select scenes have fun in the surround channels, while subwoofer use is generally subtle but effective. 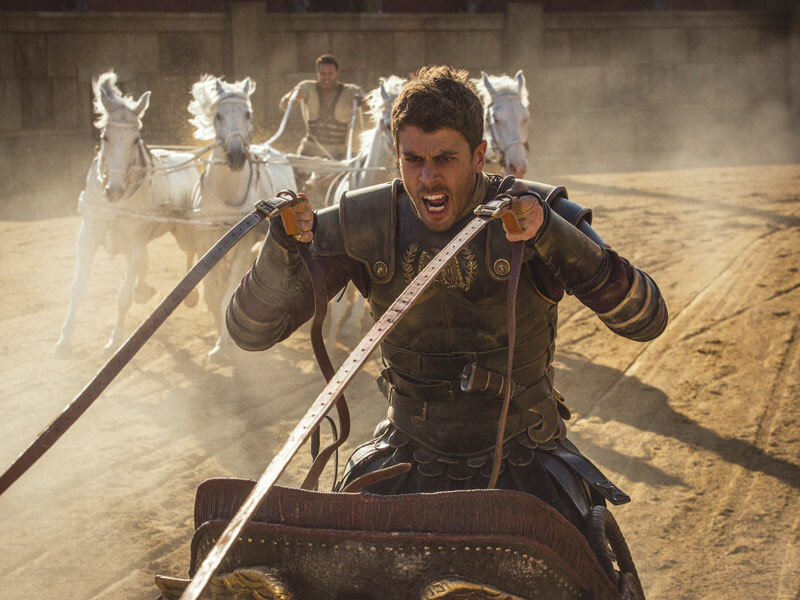 While no extras feature on the 4K disc, two standard Blu-rays are included, and deliver a wealth of goodies for Escape fans. These range from three commentaries (including one with Carpenter and Kurt Russell) through to trailers, a gallery, assorted featurettes and a deleted opening sequence.